​Our very own queen B is pregnant with twins. 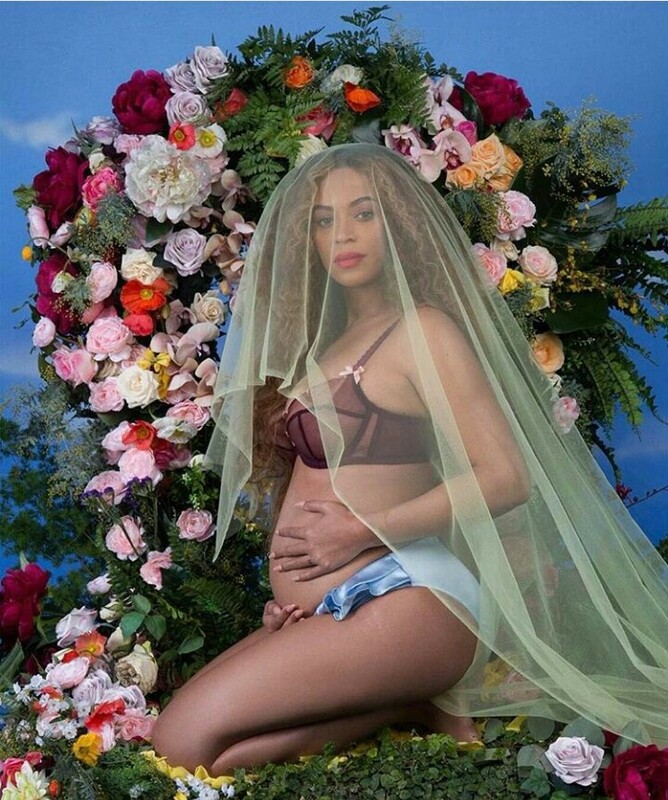 Beyoncé made her announcement on social media, she posted a picture of herself wearing a lingerie kneeling beneath an arbor of roses under a pistachio-green tulle veil. On this post, we are gonna be reviewing previous Beyoncé styles, outfit and looks (Throwback). 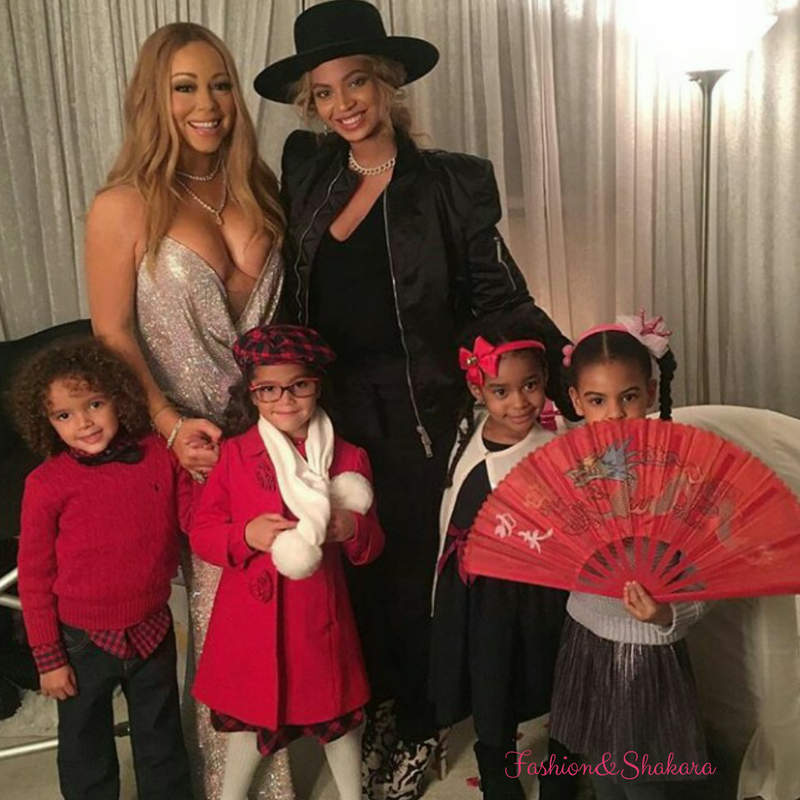 1) Beyoncé At the Mariah Carey’s concert in NYC she wore a Satorial Tuxedo bomber and Azzedinr Alaia snow leopard pony hair boots. December 11, 2016. 2) Beyoncé in Paris, April 19, 2011 wearing a preen dress, jimmy choo bag and Christian Louboutin shoes. 3) Beyoncé in NYC, October 3, 2016, wearing Ivy Park Logo cap, Akid brand custom Denim jacket, Gucci Tiger wool sweater, Gucci Molina lips sandals. 4) Beyoncé leaving her office building in NYC, October 4, 2016, carrying Gucci Ghost Real Graffiti detail leather bag, wearing a Gucci leather beret, formation world tour crop top and a Saint Laurent Grace velvet sandals. 5) Beyoncé at Tidal Charity Concert, October 15, 2016 wearing a dress by Gattinoni and Lorraine Schwartz jewelry. 6) Beyoncé was wearing a custom suit by Shannon Sense. 7) Beyoncé was wearing a Gucci fall 2016 Fox fur coat. 8) Beyoncé at the country Music Awards November 2, 2016 wearing a Zuhair Murad Spring 2016 couture gown. 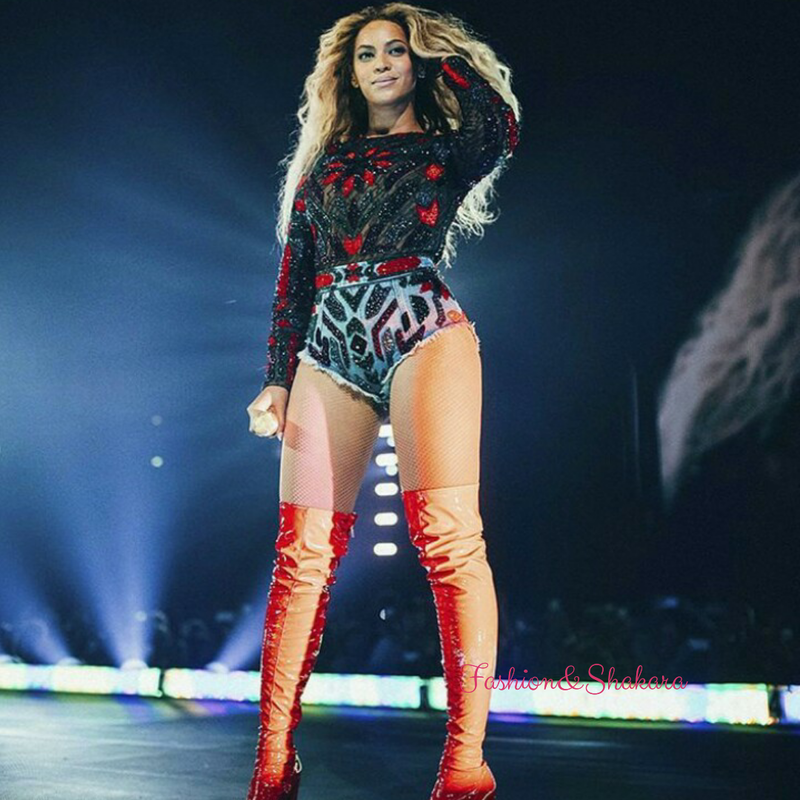 9) Beyoncé at the formation tour in Nashville dressed in Vex Clothing. 11) Beyoncé at the formation tour in Stockholm, July 26, 2016 wearing a Roberto Cavalli dress.